Plugins are used to extend and modify the functions of GLPI. In this tutorial, we will see how to create from scratch a GLPI plugin for cloning Computers . This tutorial presumes that you have basic knowledge of GLPI. Localize the installation folder of GLPI. In our case /var/lib/neteye/glpi. 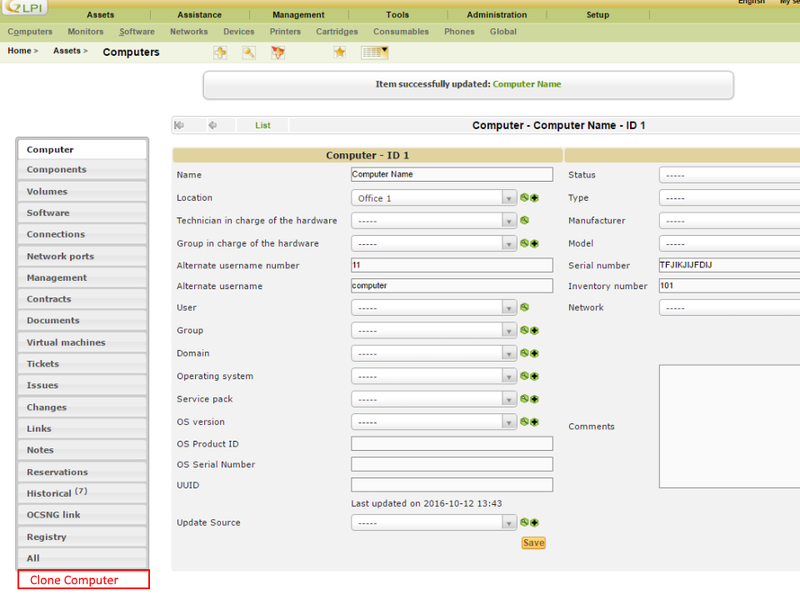 Inside it, you will find the folder plugins/ in which all GLPI plugins are installed. Now we create a new folder within plugins/ and call it clonecomputer. Within clonecomputer we create the file setup.php. 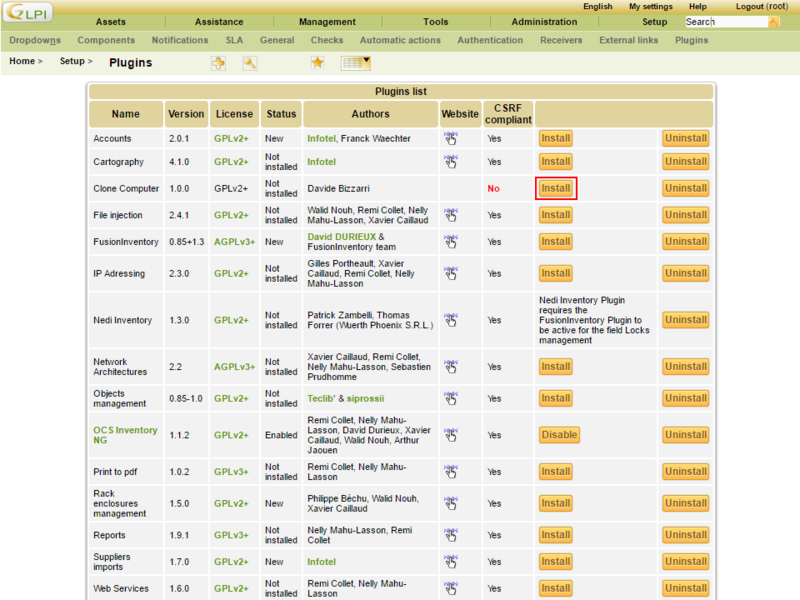 We now access the web interface Setup > Plugins and see the plugin we previously created. The plugin is not installed and enabled yet. To be able to install and enable it, we have to implement the functions plugin_clonecomputer_install and plugin_clonecomputer_uninstall in hook.php. To do so, we create the file hook.php within clonecomputer . In our case, it is not necessary to install or uninstall anything, therefore we keep this functions empty. Finally, we have to implement the functions plugin_clonecomputer_check_config and plugin_clonecomputer_check_prerequisites in the file setup.php. Since we have no configuration to be controlled, the function plugin_clonecomputer_check_config always returns true. In function plugin_clonecomputer_check_prerequisites we check that the installed GLPI version is not lower than 0.85 and not higher than 0.86. If this would not be the case, the message This plugin Requires GLPI >= 0.85 and GLPI <0.86 would be shown instead of the Install button. Now we can install and enable the plugin Clone Computer. To insert the tab we have to implement the function plugin_init_clonecomputer in setup.php in which we will register the class PluginClonecomputerClone which will be recalled by GLPI to insert the tab and to visualize the content. Now we create the class PluginClonecomputerClone in inc/clone.class.php. *  inside the left menu of a Itemtype. 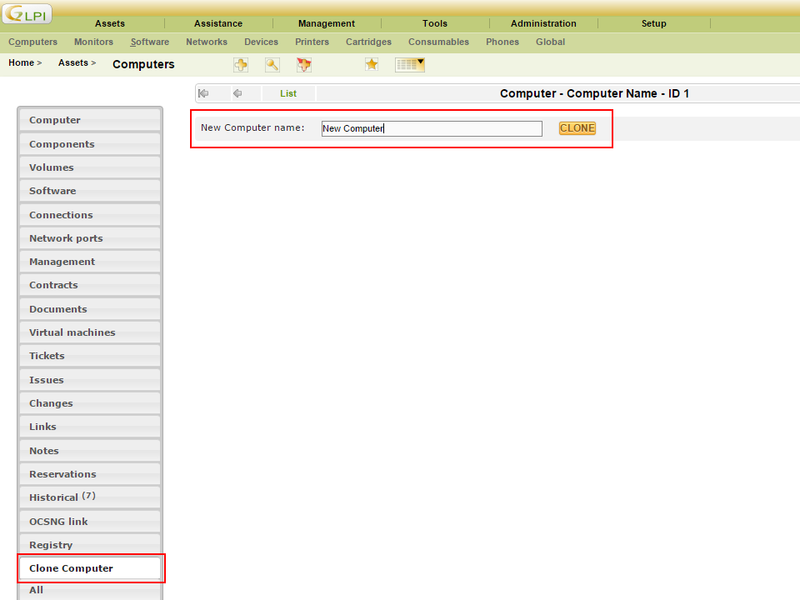 We access the web interface in Assets > Computers and select or create a new computer to visualize the Clone Computer tab. 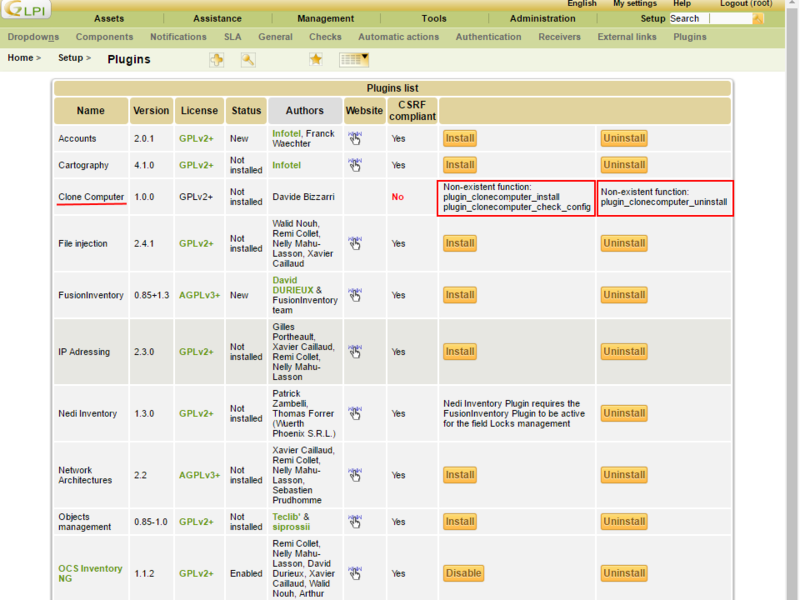 If it is not visualized, check if you have installed and enabeled the plugin (Setup > Plugins). 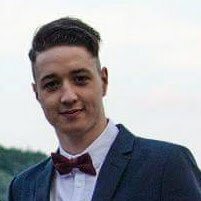 The form created by displayTabContentForItem() has ../plugins/clonecomputer/front/clone.form.php as action. Therefore, we have to create the file clone.form.php in front/ which manages the request sent by the form. 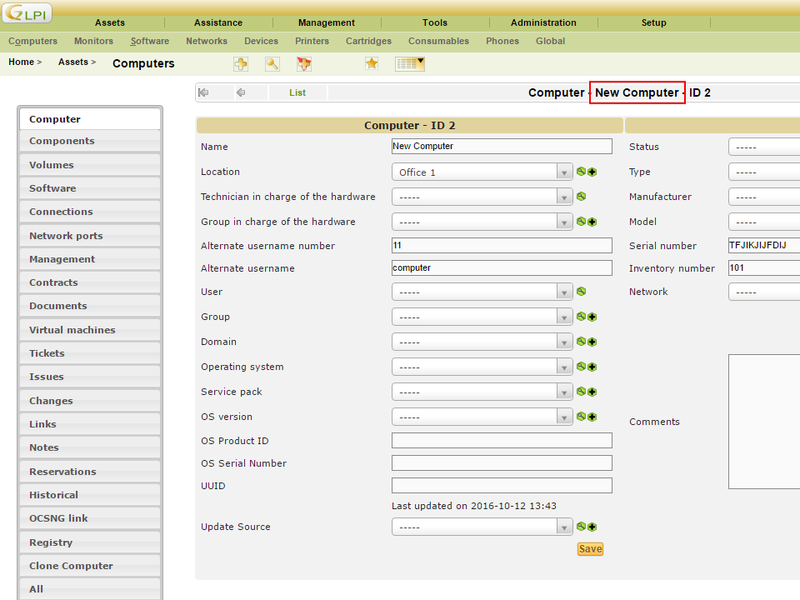 Let’s return to the web interface, insert a new name for the Computer and click on CLONE. The computer will be duplicated and we will be redirected to the new computer. Hello, tell me, please, did I get to install this plugin on 9.1 …? Hi, I never tested the tutorial with the version 9.1 of GLPI. But if you need it just give a try and see if it is still working.